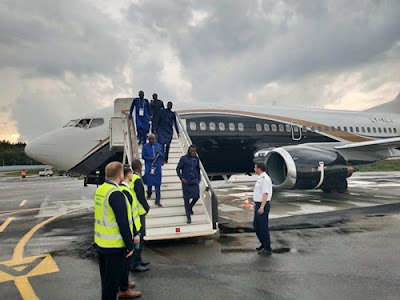 Senegal's national football team arrived in Russia on Tuesday, June 12, in native dress before the 2018 FIFA World Cup. 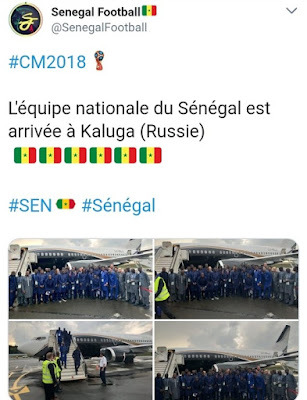 The Senegalese, who are one of the five representatives of Africa in the World Cup, emulated their western neighbors, Nigeria, who also arrived with traditional outfits. 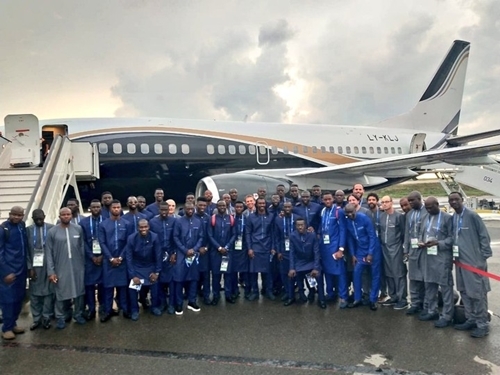 The players of the Teranga Lions, Sadio Mane, Idrissa Gueye and the captain, Cheikhou Kouyaté were all smiles when they arrived in their native blue attire. The team will be based in Kaluga, 110 miles from the Russian capital, Moscow, and will train at the Sputnik sports field. 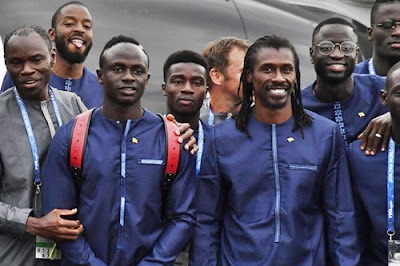 The Senegalese are in Group H and will face Poland in their first match of the World Cup scheduled for Tuesday, June 19, before subsequent games against Japan in Yekaterinburg on Sunday, June 24 and in Colombia on Thursday, June 28.